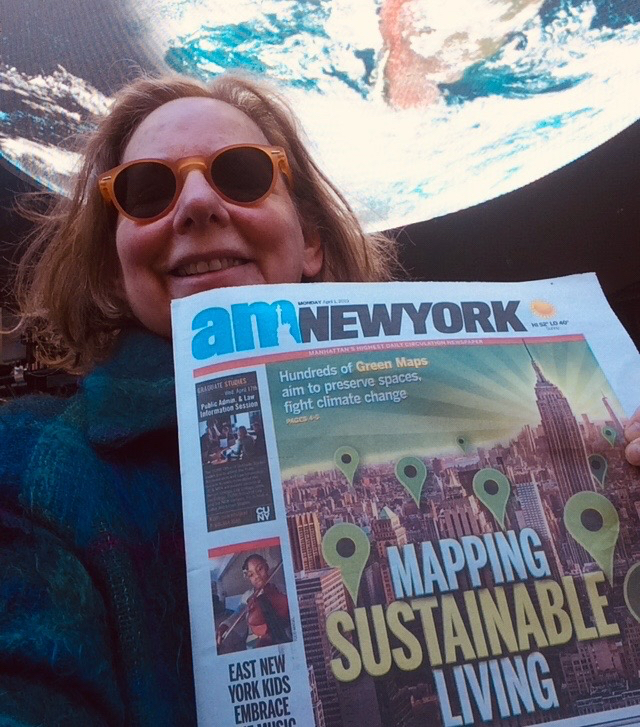 We're delighted that Green Map's story was the cover story for NYC's commuter news, AM NY on April 1, 2019! Our thanks to journalist Jefferson Siegel for both the photography and the article, "East Village-based Green Map System uses visuals to defend against climate change". This immediately led to the taping of a local TV spot (link to come)! When it comes to climate change, our local Green Map NYC project has been busy lately! We also made our own little video with our founder, commemorating Green Map's 24th anniversary on March 25th, thanks to videographer Peter Shapiro.